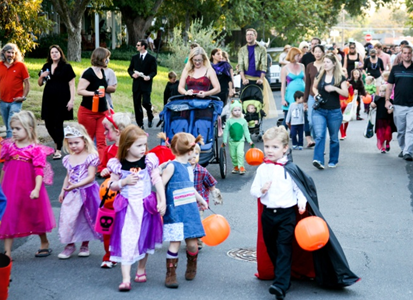 Oct 24th Riverside Halloween Fest!! Exciting Riverside Events Coming Up – Get Involved! Oct 24th Halloween Fest in Riverside!!! Pumpkin carving contest & haunted house (Jimmie Simpson Recreation Centre from 10am-2pm). 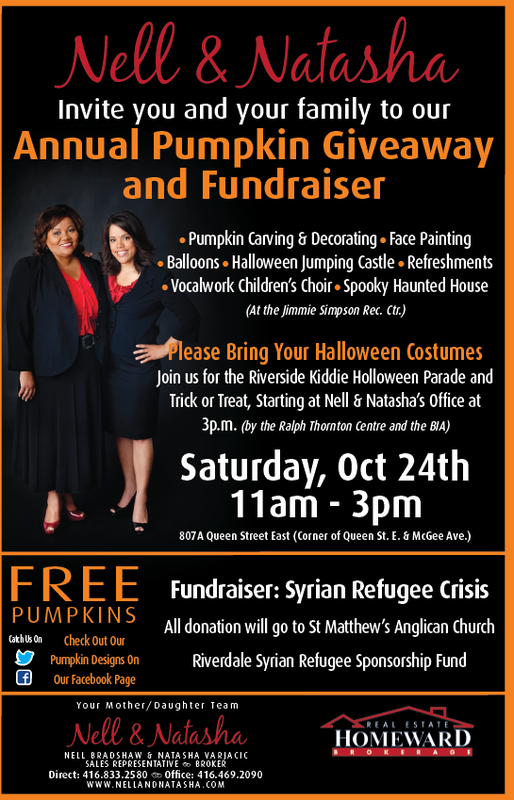 Nell & Natasha’s Real Estate Homeward Halloween Fundraiser for Syrian Families – Costume Contest & Pumpkin Carving (807A Queen St E from 11am-3pm) – Note: the BIA has applied for a permit to close the top section of McGee Street from 10am till 4pm. Children’s VocalWork Choir Performance (patio across from 807A Queen St E from 2-3pm). 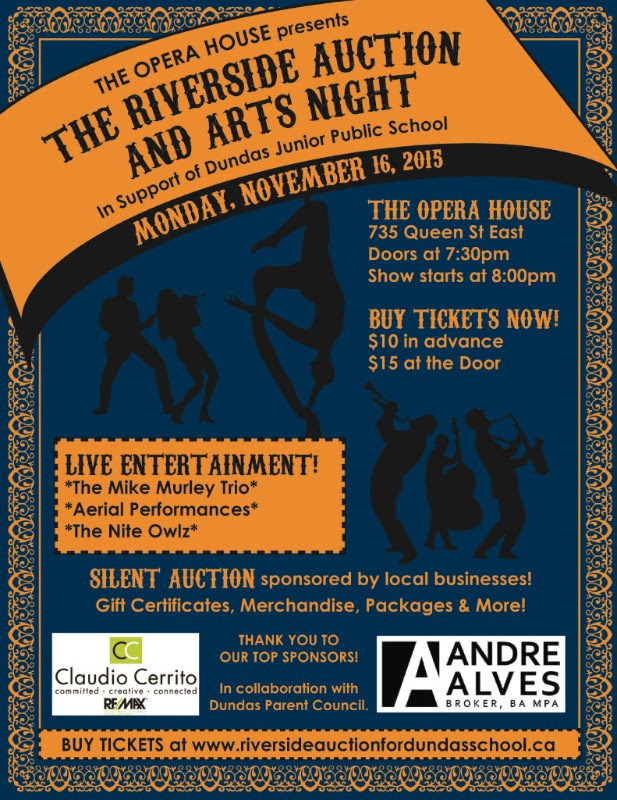 Riverside Businesses be a part of RTC’s Sunday Nights are “Date Night” In Riverside and Leslieville! Starting Sunday, October 18, the Ralph Thornton Centre is making “Date Night” a reality for parents in Riverdale. By purchasing a weekly “Date Night Passport”, parents can leave their children at the Ralph Thornton Centre on Sunday evenings. From 4:30 to 8:30 PM, RTC will provide “dinner and a movie” and other activities for the children in a safe, supervised environment. 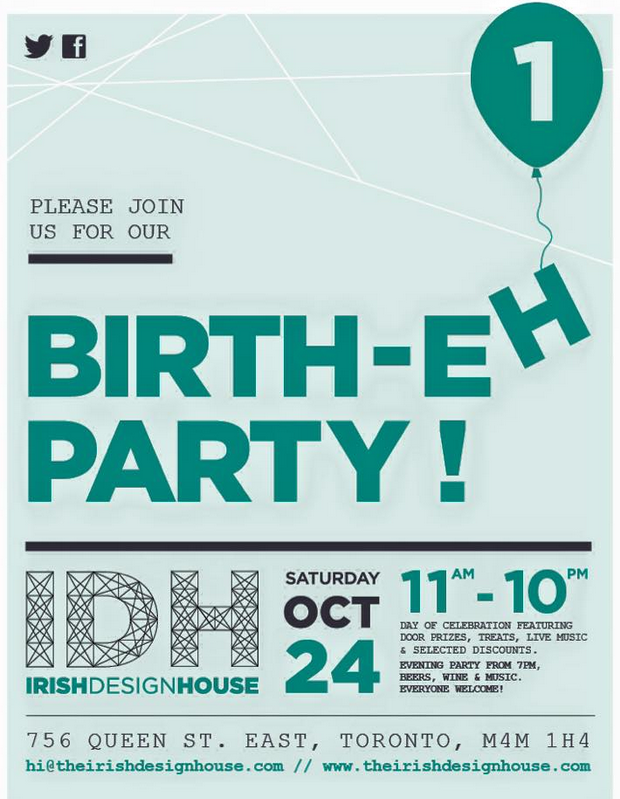 In addition, the “passport” will entitle parents to a 20% discount – only valid on that particular “Date Night” – to a number of local restaurants and other services. Passports will cost $20 for each child age 6-12, and $30 for each child 2-6. (Every additional child per family will be “discounted” by $5 off the one child price! )Your “Date Night” Passport gets you an evening with safe, affordable childcare, and a 20% discount at some great local restaurants and businesses. 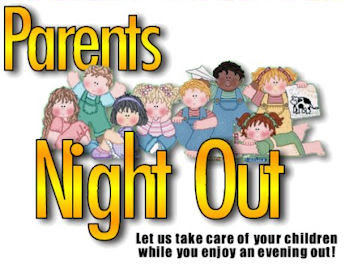 Parents get a ‘night out’ knowing their children are in a safe, supervised, fun environment. Children get a ‘night out’ with a range of fun activities, a movie, and nutritious, fun food. Restaurants and businesses increase sales on a ‘slow’ night and get new local customers. 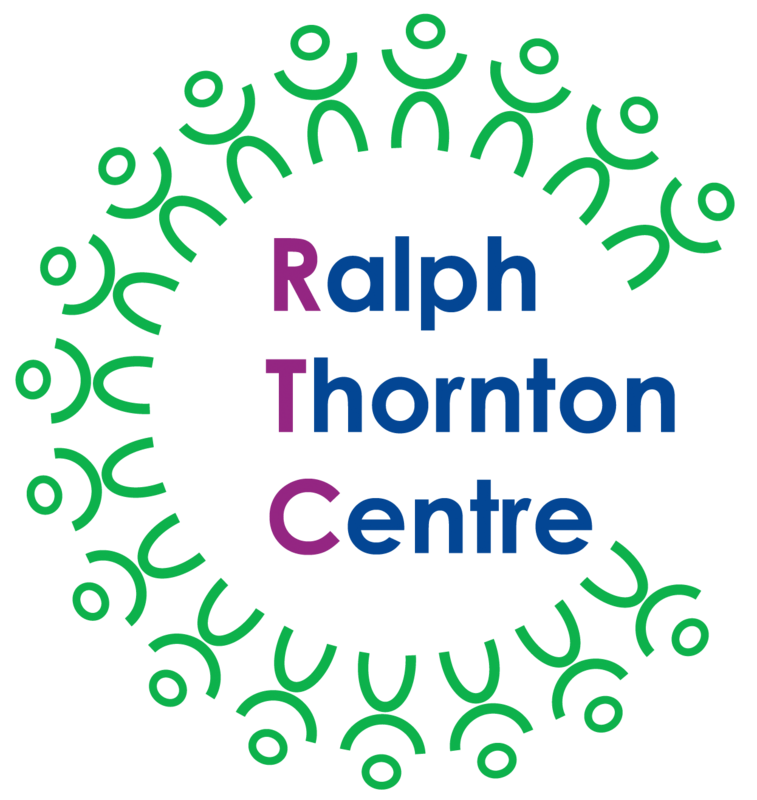 The Ralph Thornton Centre and our local BIA is able to better support our community. Promote this opportunity through flyers (provided by RTC) and their social media and other advertising . Drop off and pick up their children during “Date Night” hours! This initiative is sponsored by the Ralph Thornton Centre and the Riverside BIA. For more information, contact info@ralphthornton.org. The Canada-wide Yellowpages ‘Shop the Neighbourhood’ event is happening all day – this event is to raise awareness of the important role small businesses play in creating healthy, thriving neighbourhoods. Over 25 Riverside businesses have registered to take part to date. All businesses are welcome to join in by offering promotions & adding yellow flare to their storefront! Click here to register for 2015 now. 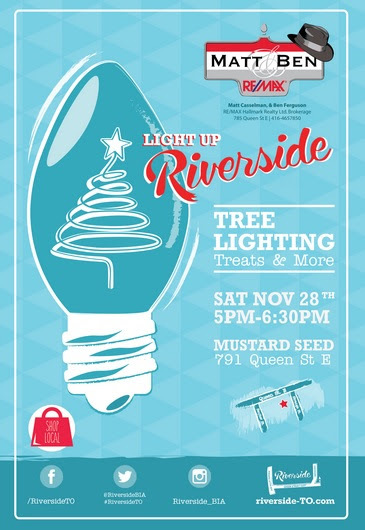 Sponsored again this year by Matt & Ben RE/MAX, Light up Riverside will celebrate this spirit of the holidays and promote shopping locally, with: Tree Lighting, warm treats from participating businesses, Beaches Choral performance & more! (Mustard Seed, 791 Queen St E from 5-6:30pm). Nov 16th-Dec 7th Encourage Riverside BIA shoppers and residents to share photos of their favorite Winter window on Twitter and Facebook, using hashtags #WindowWonderland and #QueenStEast. Dec 7th Photos with the most likes/ retweets will be eligible to win a special gift certificate to one of the participating businesses. 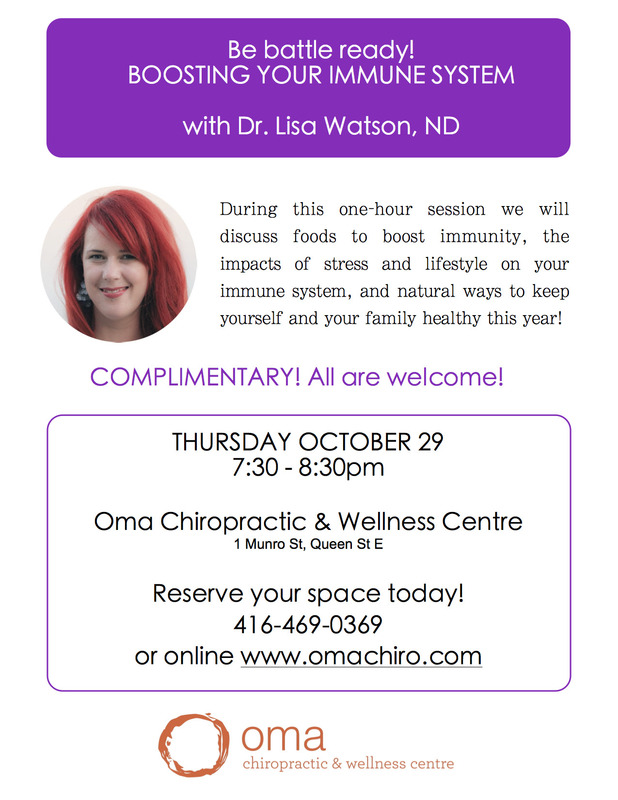 On Thursday, October 29th the Shop The Neighbourhood street team will be visiting Riverside neighbourhood to get us all prepped for November 28th! Ready to sign up now? Click here to register for 2015 now.Questions? The Shop The Neighbourhood team is here to help at shoptheneighbourhood@yp.ca or at 1 844 YP-LOCAL. November 2nd: City of Toronto hosting 2015 Marketing Forum with Yellow Pages. 2015 Marketing Forum: Getting Your Business Noticed! How is mobile changing the marketing world? Join the City of Toronto and Yellow Pages to learn about the latest tools and trends for marketing main street. This event will provide an opportunity for retailers to learn more about trends in main street marketing, as well as a chance to sign up for Yellow Pages’ Shop the Neighbourhood Program. November 2015 through May 2016 in Toronto. 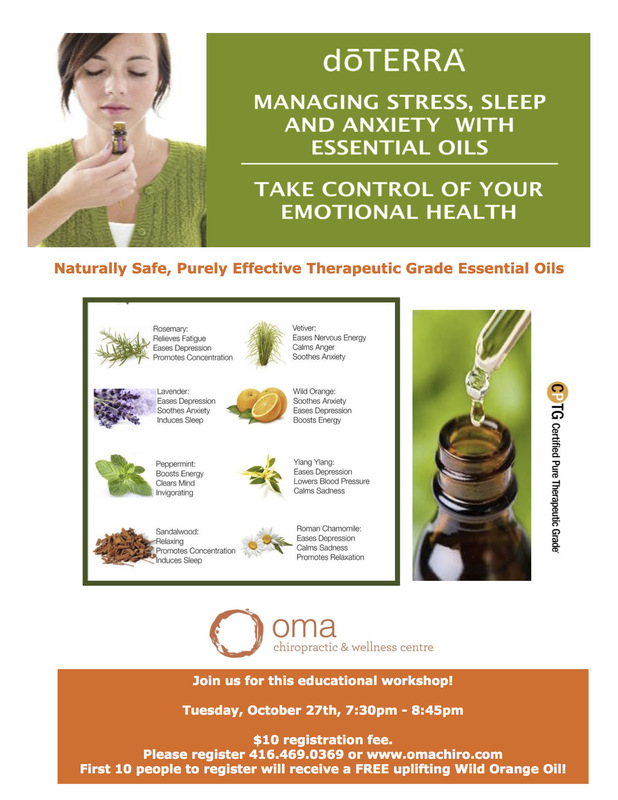 The purpose of this course is to provide the student/participant with a solid knowledge base of the therapeutic actions and constituents of medicinal plants and a holistic framework for how to use plant medicine safely and effectively.The cost: is $1,073.50 ($950.00 + HST) Fee includes instruction, reference text, handout materials, and a basic herbal kit. Welcome New StudentsRTC is pleased to welcome to two new placement students for this academic year. Lucile comes to us from the BSW program at York University, and will be working on our partnership with Nellie’s on the WEAV project. Bridget joins us from the Community & Justice Services Program at Centennial College, and will be supporting the Exchange Loft and a range of other community engagement projects. We wish them every success during their time at RTC.